So many people own popular stocks but fail to realize the potential earning capacity, beyond dividends, of the stocks they already own. Writing covered calls is a way to make additional income from shares. If you combine this with the leverage of margin lending, you can see very impressive returns. What is a "Covered Call"? 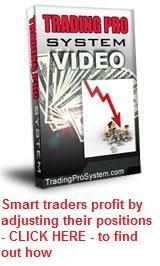 A "Covered Call" is a call option that you write (i.e. sell) to the sharmarket, on shares you already own. It is a promise to the market, that you will sell your shares for a given price by an agreed date, but only if someone who has purchase your promise, chooses to exercise it. The call option is called "covered" because the promise is secured by shares you own. The alternative to this, is to sell "naked" which happens when you make this promise over shares you don't own and would therefore have to buy in order to fulfil your promise. Writing covered calls is a much preferred and safer option. Margin lending is a type of loan easily obtained from lenders who are prepared to finance the purchase of additional shares, using your existing shares as collateral. There are varying margin lending rates applicable to shares according to their perceived risk. The popular "blue-chip" shares usually have a lending rate up to 70 percent. Let's take an imaginary example. You have $20,000 to invest and you want to buy XYZ shares, currently trading at $15 per share. The margin lender will loan you another 70 percent, but you choose to only use 60 percent, so you have a buffer in case the share price drops. This means your $20,000 becomes 40 percent (100 minus 60) of the total shares purchased. Your $20k can now buy $50k XYZ shares, which at $15 per share equals 3,334 shares. If the stock price moves up one dollar, your gain on 3,334 shares will be $3,334. If you had only purchased $20k of these shares, your gain would've only been $1,334. Your margin loan has made you an extra $2,000 less interest on the loan. Now, let's combine margin lending with writing covered calls. You have used margin lending to purchase an extra 2,000 shares and now you write $17.50 call options with an expiry date one month away, on these 3,300 shares. You receive a premium of say, 50c per share, which is a further income of $1,650. If the share price spikes up to $18 before the options expire, your gain is limited to $2.50 per share, but you have added another 50 cents from the sold call options, so your total gain is now $3 per share, or $9,900 on a $20,000 outlay. Not bad! If the stock price only moves up one dollar, you've made an extra 50 cents from your covered calls, plus your shares have gained one dollar each in value. If the stock price drops to $13 by option expiry date, your sold call options will expire worthless, which means you won't be exercised. 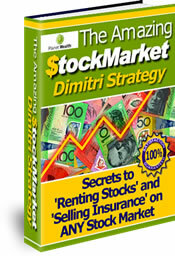 Your 50 cents per share will offset the loss on your share price and you now turn around and write another covered call contract at $15 strike price, for next month's expiry date, bringing in further income, again offsetting the loss in share price until the stock price rises again. This is why writing covered calls is like renting out your stocks. Landlords borrow money and rent out their real estate. Share owners rent out shares. If you stack the odds in your favour and generally pick shares whose price will rise, this is always the best scenario and will provide you a comfortable return on your investment. Why rely on dividend income alone from your shares? For some excellent information about writing covered calls, visit Planet Wealth!